By some estimates the rogue world has been cold for about 100 billion years. What atmosphere it once had was long gone, and for most of its life the world sailed between the starry sea of the supergalaxy. But for the first few billion years of its existence it had orbited a star. Under the warmth of a sun, life arose. Remnants of life on the world are faint, but unmistakable. And then there is the beacon. The beacon was designed to be found. The region around the beacon contained an abundance of elements strikingly different from the surrounding regions. The beacon itself was clearly designed to survive billions of years. Whatever else this species was, they were amazing engineers. They used those skills to create a vast archive of their civilization. A beacon that declared their existence to the cosmos. Much of the archive is still confusing. They were a collection of individual organisms that seemed to communicate through gestures and the creation of vibrations in their atmosphere. Social interactions between organisms were clearly important, but their behavior as a social collective was often contradictory. Their scientific data has proved much more tractable. It’s not too surprising, given that they were curious creatures. Their understanding of chemistry is as expected, as well as most of their physics. From the archive it is clear they were based upon carbon and nitrogen. Their records indicate an atmosphere comprised mainly of nitrogen and oxygen, and their world orbited a yellow star within its temperate zone. Water played a central role in the organisms. But within their scientific records is a perplexing tale of the origin of the universe. The present universe consists of the supergalaxy, a great cluster of perhaps 50 billion stars. Beyond the supergalaxy is the great abyss, cold and dark where nothing exists but empty space. How this universe came to be remains a mystery, but the dominant view is that of an ageless cosmos. While stars form within great clouds of gas and dust, and die when they have consumed too much hydrogen in their core, new stars can arise from the old. The ageless universe model does have some difficulties with things like thermodynamics, but a steady state cosmos is the most reasonable model given the appearance of the universe. But the archive tells a different tale. The Universe, it says, began as a very dense, very hot state. Over time it expanded and cooled, creating a mixture of hydrogen and helium. Eventually the hydrogen and helium coalesced under gravity to form not a single galaxy, but billions upon billions of galaxies. Some as large as the supergalaxy, others much smaller. Stars formed within these galaxies, fusing hydrogen and helium into the heavier elements such as carbon and iron. Heavier elements such as gold were formed from the collisions of neutron stars. 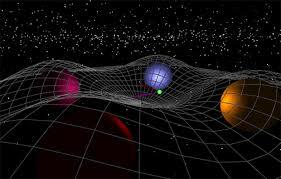 In this tale the First Density formed space and time itself, with only hydrogen and helium as the first elements. It is the tale of a finite cosmos, in stark contrast to the steady state model. If it were true, the early abundances of the elements would have been dominated by a specific ratio of hydrogen and helium. But over billions and billions of years that ratio has long been scrubbed by the fusion of hydrogen in stellar cores. If it were true, there should be a thermal remnant of the event. A cosmic background of radiation that echoes the hot dense past. But over time any such background has faded to the point that it is invisible against the thermal noise of gas and dust within the supergalaxy. Even with those clues long faded, there still should be evidence of other galaxies. Even if the galaxies were billions upon billions of light years away, their light should still be seen, perhaps faintly. But the tale makes even other galaxies invisible. The universe has not only expanded from the First Density, but has expanded at an ever increasing rate. Over a hundred billion years, other galaxies have raced away faster than light. Because of this accelerated expansion all other galaxies have passed beyond the veil of darkness. They are out there, the tale declares, but now forever invisible. It is a truly perplexing tale.If the tale is true, then this species could have seen a sea of galaxies among a cosmic background. The cosmic story it presents does agree with the present universe, but there is now no way to test it or refute it. Its truth rests entirely on whether this ancient species is to be trusted. Did these creatures rely upon testable observations? Did they adopt scientific models even when they were perplexing or troubling, trusting the evidence to lead the way? Or did they create a convenient truth as a way to impose a beginning upon an endless universe. Like stars, these creatures were born, lived for a time, and died. Did they impose their finite life upon the universe to assuage some social need? The tale presents two paths: either rely upon the evidence of present observation, or rely upon past evidence of a fading truth. Neither path seems entirely satisfactory. I still believe. Brian Koberlein that there’s other dimensions and the other side of a black hole is a new Dimention the Loop theory is real, will I ever prove it?we know if things are sucked into a black hole they are condensed and ripped apart stretched and condensed down to almost nothing but on the other side the seeds of life start new cradles of nebulous structures and form new beginnings just like ours was formed 4.5 billion years ago.that big bang I believe was a Dimention before our comming out the last black hole thank you for sharing 100 billion years is a long time for a a planet to be in existence floating in space I thought we only knew about 14.6 billion years ago but we have Evalved. Utterly fabulous imagination. Thank you. Mr.Koberlein: great sci-fi plot! Awaiting the novel. Robert, this article is talking about Earth about a hundred and fourteen billion years from now being discovered by an alien race, and what that race would think about the data we’ve accumulated in contrast to what that race could observe for themselves. The idea that Earth could survive that long is pretty far fetched. The idea that any evidence at all of our existence would remain even more so. But everything else is spot on.